ISLAMABAD: The Supreme Court on Thursday told the counsel representing Pakistan Tehreek-e-Insaf (PTI) Secretary General Jahangir Tareen that his client didn’t disclose entire income to the Election Commission of Pakistan (ECP), adding that he had failed to convince the court that his client was exempted from paying tax on 18,566 acres of leased land. A three-member Supreme Court bench—presided over by Chief Justice Saqib Nisar and comprising Justice Umar Atta Bandial and Justice Faisal Arab—was hearing a petition filed by Pakistan Muslim League-Nawaz (PML-N) leader Hanif Abbasi. The petition seeks the disqualification of Tareen and PTI Chairman Imran Khan over the alleged non-disclosure of assets, existence of offshore companies, as well as receiving foreign funding for PTI. 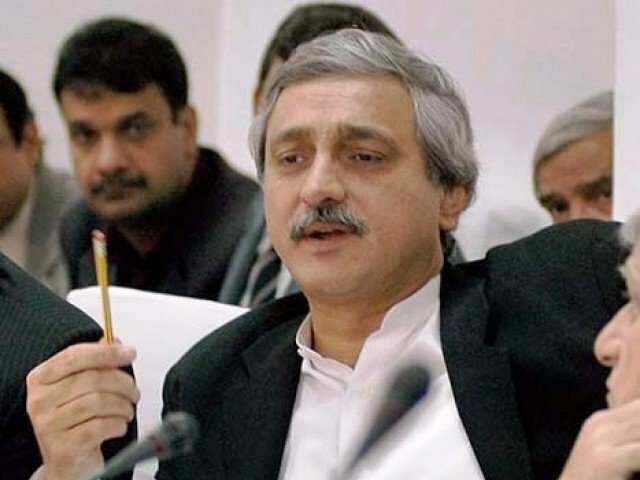 The Thursday’s hearing also revolved around the non-disclosure of income generated from 18,566 acres of leased land in the nomination papers by Tareen; to which, Tareen’s counsel Advocate Sikander Mohmand had argued in the previous hearing that his client didn’t know the definition of “landholding” mentioned in the papers. The said land was leased by Tareen in 2010 and he had earned around Rs1.6 billion agricultural income from the land, according to Mohmand. During the hearing, Advocate Mohmand argued that his client was not liable to pay income tax on revenue generated from the leased land as he was a contractor, not an owner. Pointing out to “ambiguities” in Punjab agriculture tax laws, the lawyer said that the owner is obligated to pay the tax, not the contractor. In response, the chief justice said that income from agricultural land comes in the form of rent [to the person who owns it] and in the form of harvest revenue. The chief justice added that the PTI leader was liable to pay tax on the revenue being generated from the leased land as he was earning income on it. The chief justice observed that Tareen, consequently, had not disclosed his entire income before the Election Commission of Pakistan. On Wednesday, Mohmand argued that Tareen had declared the land owned by him in the nominations papers and had submitted his tax returns as well. However, he contested that the election forms do not contain a column for leased land. Admitting before the court on Thursday that his client had not mentioned the leased land in the election forms, Advocate Mohmand maintained, however, that no misinformation was given in the papers. “What will be the legal implications of not paying tax on leased land?” Justice Bandial asked. “You have not been able to satisfy the court that tax is not payable on agricultural income,” the chief justice reiterated. The hearing was adjourned until Tuesday next week. On Wednesday’s hearing, Advocate Mohmand was told by Chief Justice Saqib Nisar that land, whether owned or leased, has to be declared in the election forms. During Tuesday’s hearing, the SC had sought evidence that Tareen is not the owner of 18,500 acres of land but is instead using them on contract from a number of people. Tareen’s lawyer told the court that only the name of the landowner appears on the records, not the name of the person farming the land. Earlier in the day, PML-N leader Hanif Abbasi, in his submitted petition, requested the Supreme Court (SC) not to consider the documents recently submitted by PTI Chairman Imran Khan in the ongoing disqualification case. The documents — detailing bank transactions in connection with Khan’s assets and accounts of his offshore company, Niazi Services Ltd — are not verified and have been submitted very late in the case, Abbasi argued in his petition, submitted separately with his reply in the case. Submitting new documents so often would unnecessarily prolong the case, the petition argues. The documents submitted by Imran last week contain a receipt of 562,000 pounds paid out of the bank account of Imran’s offshore company, Niazi Services Ltd, to his ex-wife, Jemima. In a written response that accompanied the documents, Imran said that he had mentioned the transfer of the money from his account to Jemima’s in financial documents submitted before the Election Commission of Pakistan in 2003. Hanif Abbasi said that Imran Khan will be disqualified because his statements are contradictory regarding the money trail of Bani Gala. He said that sometimes Imran says he was gifted this house by Jemima Khan; some other times he backs off that statement soon after. “Court is asking Imran about banking transactions, but he doesn’t have them,” he claimed. He asserted that this case will end up disqualifying Imran Khan.